Dumbledore explained why he did not tell Harry all that himself, he felt it would give Voldemort an incentive to use the connection more if he thought it could be a way to use Harry to spy on Dumbledore. Also, Dumbledore did not JUST send Harry to learn Occlumency from Snape. Snape actually did explain to Harry the things you suggest Dumbledore ought to have explained, about Voldemort attacking his mind or making him do things, in addition to trying to teach Occlumency. I presume Dumbledore thought Harry might, at least, absorb that part of the lessons, since that requires no practice or liking of the teacher. He underestimated the extent to which Harry would discount anything Snape told him. I respect your opinion, but Dumbledore said that what he underestimated was Snape's ability to let go of his old grudge against James enough to successfully teach Harry Occulmency (OOTP Brit. Ed. pg. 734-35). Imo, Dumbledore blamed Snape rather than Harry because Snape was the more mature and thus should have been the person to ensure the lessons were carried out despite the aggrevation between the two participants. Dumbledore, imo, made several similar errors of judgment along the way, however, he did seem willing to readily admit to his mistakes which is admirable. I am not certain I would say that he learned from them, because imo, he made similar errors associated with secrecy, power and control continually until his death. Why should it be so? 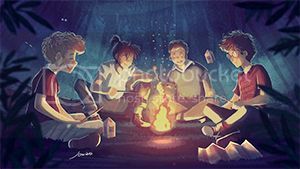 There is nothing in the books, I think, to say that Harry should go into the Forest thinking he must die, instead of willing to die (and I think Harry would have still gone into the Forest) for the horcrux inside him to be destroyed. I think DD was naturally secretive and his brilliance and enomous magical talent made him a bit arrogant, in thinking IMO, that he could think, analyse and decide better than all. This was an honest arrogance and not the arrogance we imply when we use the word normally. This aspect shows up time and again all through the Books. It helped, I think, that he was correct in his assumptions and theories more often than not, but the few times he did make mistakes, they cost very heavily. He sits alone IMO, in more ways than one, that sadly blinds him to the needs of individual persons and emotions -- he is almost, always seeing only the bigger picture. I totally agree. DD may have been wrong about what he chose to keep secret and what he chose to impart to others, but it was not due to any desire to imply anyone was undeserving of the information. He simply knew that his methods would lead to the end of Voldemort. He was simply to brilliant for his own good. "I enjoyed the meetings too," said Luna serenly. "It was like having friends." I agree with you. Imo, Dumbledore needed to share his decision making with another - or others - in order to help with perspective. While I hope he was able to have a wonderful love life, imo, he should have shared his political duties with the members of the Order. There were brilliant people all around him. I also agree that his mistakes were very costly, imo, sometimes needlessly so. However, as you indicated, it did help that everything worked out in the end - at least for those who survived. Hey! I thought so too, until I read a in-thread warning by Jessica who encouraged the use of IMO's and I think's so that everyone would know it is your opinion and you are not talking for Jo, when we write about the characters and the books in general. No, no, no..., I meant that having found that personal love would have made him see persons and individuals instead of strategies and logis... At least I would hope it did. Or do you think DD would have been the same even then? That is interesting, but it does show him to be a bit more callous than now, when IMO his mistakes can be expalined... sort of. 2. IMO is your friend. Use it in abundance. Use it in overabundance. Make it clear that you are stating YOUR OPINION. The above is from another thread. If there are questions about thread logistics or other things of that sort go ahead and Owl one of us staff types, so that we don't tie up thread with thread logistics and other things that are off-topic. Using "in my opinion" or "I think that" in place of "IMO" or "IMHO" is fine, too . And now back to discussion of one of my favorite characters, Albus Dumbledore . Well I couldn't really say because we don't really know anything about Dumbledore's private life. He may have had romantic relationships we know nothing about. I do believe sharing his power (within the Order) would have had an impact though, generally having one all powerful person heading things has not worked out well in history. That is a point and probably a correct one. But if that were the case then it does IMO makes DD more culpable and more disregaring of others I think. And how I wonder, did the others allow DD to get away with so much? Moody, McGonagall and most of the Order members are some of the smartest and more powerful witches and wizards in the U.K. To follow someone, even though he may be the most poweful or the most knowledgeable does not really speak well for them IMO. Snape comes running with sheer terror to DD and tell him to hide the Potters because Voldemort has chosen Harry as the child of the Prophecy. From that point onwards Snape became DD's man. Why did DD knowing that Snape loved Lily so much that he was willing to to anything DD asked of him, not tell Lily that Snape had come away from being a death eater and he was now working against the side he had joined in the first place? I am assuming he did not because there is nothing in cannon to say he did. Was this another of DD's collossal mistake? Another manipulation for the greater good? 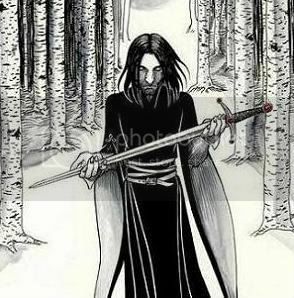 Snape could not approach the Potters because James, Sirius and Remus would kill him first. He could not write his remorse and apologize for his mistakes because they would not believe him and think it was an elaborate ploy to lure them to Voldemort. DD IMO most likely knows this. Then why did he not tell the Poters and especially Lily that Snape has turned away from the Dark side? Or did he and Lily did not care. IMO that would have been terrible and I truly hope that was not the case. I hope someone asks this question of our beloved author... I for one am very interested in the answer. Last edited by The_Green_Woods; October 25th, 2007 at 9:56 am. I think DD actions were extremely consistent. The only consistency gap exists from what we didn't know about him earlier. No, I do think DD should have done more to secure locations of the other Horcruxes. How is it that a death eater (Bella) goes to Azkaban forever as a convicted death eater, and no one gets the right to search her vault for any dark objects. Doesn't make sense in our world, wouldn't seem to make sense in her world. I think DD's single mindedness in seeking to destroy LV was a reflection of his past. He was trying to make up for his earlier failure. Similarly we see his great disdain for Draco's narrow mindedness (hating Mudbloods) as a compensation for his flawed past. JK made it clear that DD had no equals and that it was a very lonely life. I imagine he was seperate from others by his intelligence, skill and homosexuality. At what point he realized his homosexuality, we don't know. However, I imagine that his separation from other wizards due to skill and intelligence increased his lonliness and separation because of his homosexuality (and verse visa). It was a very sad downward spiral for him. Hard to believe he wasn't on some depression medications... I think it greatly affected his relationship with Grindlewald. To met someone with comparable intelligence and skills may have awakened him to his sexuality in the first place. How often are all of us attracted to others because of commonness (sexual and non-sexual). Here is a boy apart from everyone else and now he has an equal! No question there is a direct correlation. His secrecy was compounded by his family situation and his homosexuality...but not the cause. His secrecy was fundamental to his plan succeeding. In a world of truth potions, legilemensy and imperio, there really was no other way of keeping his plans from LV. As an aside, do you think DD used legilemensy and imperio against Draco to get him to tell his story on the tower in Book 6. I do, I really really do. How few of us recognize our failings. As to his decision not to enter the ministry, well in the magic world it really didn't impede his power did it? What DD expected of Harry is too much to expect from anyone. However, it was absolutely the right thing. In any war there are sacrifices to be made. DD sacrificed many to put Harry into position to defeat LV (including himself). Was every strategy correct or the best, surely not...but whose is. As excellent a job as JK did of showing us the horror of war (and the randomness and unfairness of death and destruction) she did an even better job of showing us how horrible it is to order others to what is likely their destruction. No wonder that DD guy was lonely. Of course it was fair, he asked every member of the Order to do the same. Not only that, he asked them to do the same in protecting Harry, at the possible cost of their own lives without nearly as much knowledge as Harry (not to mention much less glory). Primarily his secrecy and seclusion. I think he had a natural tendancy towards both due to his intelligence and skill, but his homosexuality probably increased that. I do see his "pity" for Snapes unfulfilled love perhaps reflected in his own towards Grindlewald. Another huge mistake that in reality cost the Potters their lives and put Sirius in Azkaban for thirteen years IMO was the way DD ran the Order of the Phoenix. He seems to place the responsibilities of trust on the members themselves, there seems to be no way to deduce any traitor within its ranks IMO. The moment they knew there was a traitor who was passing information to Voldemort, I wonder why DD did not do a thing to find out the traitor and save James and Lily. IMO DD seems to trust everyone in the Order blindfold. What was this part of him, I wonder that allowed him to be so lax, in the time of war and with the knowledge of the Prophecy. There were four Marauders . Let's keep in mind that little Peter, whom no one respected, was a member of the Order of the Phoenix as well, and so close to Lily and James that he was photographed standing between them in the picture Moody showed Harry at 12 Grimmauld Place in OotP. Dumbledore did not know he was the spy, but he knew there was a spy close to the Potters. Further, it seems that the Potters did not take this seriously, because they chose a Secret Keeper among the people close to them. This seems to me reason enough not to tell the Potters about Snape. If James' sense of honor caused him to share this information with his closest friends, Peter would have doubtless betrayed Snape to Voldemort. So in this case, I think Dumbledore's secrecy was warranted. In my opinion, if Dumbledore was treating Order members during the first war as he did in the second, the members would have every right to mistrust him. The problem with that is, Dumbledore, while secretive and manipulative, did have the right idea or *guess* most of the time, so it did pay to heed his words. It wasn't like the Potters ignored him, they just obviously trusted their friends more than Dumbledore and I don't blame them. In fact, I would go as far as to speculate that if Dumbledore had been made secret keeper, it is altogether possible that we would have had the same outcome. Dumbledore's plans were often very risky and he looked to the 'big picture'. If he foresaw that Harry had to be kept safe to defeat Voldemort, and for whatever reason that meant his parents had to die, imo, Dumbledore would have gone with keeping Harry safe. That was his MO at that time imo. And I wonder what was DD doing with the knowledge that there was a spy who was very close to the Potters? DD had knowledge of the Prophecy -- he knew Snape had been apprehended and thrown out half way through the same Prophecy -- sometime later Snape comes running in fear and remorse and once again informs DD that Voldemort has indeed chosen the Potters and tells DD to some how hide all of them -- even James Potter once DD says he is disgusted with Snape's attitude. Why did DD not do more? He was in the position of the Supreme Commander of the Light forces that were fighting a battle with Voldemort -- the battle was already on -- James and Lily had already defied Voldemort Thrice -- why weren't they protected more securely -- why did DD listen to James's wish of appointing Sirius as the secret keeper when he knew some one very close to the Potters was a DE -- Was that the time to pander to James's wish -- why weren't the members subjected to more scrutiny once they knew there was a spy very close to the Potters especially when it looked like their child was the child of Prophecy? Sure there were four Marauders and everybody was scared and suspecting every other person to be a spy -- in the army when you know you have a traitor, you try your best to flush out the dangerous weed, else it would damage the entire crop ( I think this came out plain silly but I won't change it) -- in the magial world DD could have asked every one to simply show their fore arms -- if Peter was not marked for remaining secret (though I very much doubt it) -- then a simple oath that 'I am not a death eater and I am working against Voldemort' would have sufficed. Why wasn't that done? In a war of that magnitude when so much was at stake why did DD leave everything to the dignity and honesty of the members themselves? Is that the best way to lead? What exactly were the motivations behind such a reasoning? Since I was too carried away to post IMO's, kindly note that the entire post is my opinion only. Last edited by The_Green_Woods; October 26th, 2007 at 8:39 am. why did DD listen to James's wish of appointing Sirius as the secret keeper when he knew some one very close to the Potters was a DE -- Was that the time to pander to James's wish -- why weren't the members subjected to more scrutiny once they knew there was a spy very close to the Potters especially when it looked like their child was the child of Prophecy? You write as though you know James Potter would have obeyed an order regarding this matter. From what we have seen and been told about his personality, I very much doubt it. The Order is not a military organization with members who recognize a duty to obey all of the orders of their superiors. It's a group of people with common ideals working against a common enemy with a far looser structure. We are told in PoA that Dumbledore offered to be the Secret Keeper for the Potters himself. (Minerva says it in PoA, "The Marauders' Map"). He was turned down in favor of Sirius Black (really Peter Pettigrew). Right there, we see evidence that the Potters did not consider it their duty to do whatever Dumbeldore said. About a year before the Potters died, Dumbledore confided his belief that there was a spy in the Order to several people, among then Minerva McGonagall and Sirius Black. Given that the matter concerned the Potters closely, and how close Sirius was to them, I deduce the Potters also knew. But they chose the option of Peter, with the twist that everyone would think it was Sirius. We even have a reason why they would have, provided for us by (ironically) Remus Lupin in DH - James Potter would have considered it dishonorable to distrust a friend. It seems to me that DD did all he could for them, and their own choices limited how much he could do. I would imagine that Peter was either unmarked, or had some way to hide the mark when it was necessary. Voldemort can think of this elementary precaution as well as you can. (If it was this easy, surely the Ministry would have done this in rounding up Death Eaters. They surely have less scruples considering the rights of individuals). A simple oath would not help, as Peter would certainly have been willing to lie. I suppose you probably meant an Unbreakable Vow? This discussion seems to have arisen out of your dissatisfaction with Dumbledore's handling of Snape, but it seems to me that Snape is the poster boy for why this works. Snape, a Death Eater, came to Dumbledore with his story, and Dumbledore accepted his services as a spy based on nothing but Snape's bare word that he would do "Anything" Dumbeldore asked in exchange for protection for the Potters. I don't doubt Dumbledore took some precautions against the possibility that Snape proved unreliable in the early days. That is only prudent. But he did not (as some theorists had proposed pre-DH) demand an Unbreakable Vow of service. What he got in return, was someone he could (and did) trust with his life, his death, and his greatest secret, and someone who never failed to merit that trust. While the credit must go to Snape himself for his courage and steadfast loyalty, I don't think just anyone could have inspired them. It is also a testament to Dumbledore's leadership skills. It wasn't like the Potters ignored him, they just obviously trusted their friends more than Dumbledore and I don't blame them. I dosagree with this. IMO Dumbledore told the Potters that one of their friends was a spy. I think James especially resented this, and that is why he chose Sirius - to prove his absolute trust of Sirius. I don't think he trusted Dumbledore less - he just wanted to prove that he trusted Sirius even though Dumbledore had said one of his friends was a spy. The switch to Peter was the big mistake; I personally don't think they thought it through properly. In fact, I would go as far as to speculate that if Dumbledore had been made secret keeper, it is altogether possible that we would have had the same outcome. Dumbledore's plans were often very risky and he looked to the 'big picture'. If he foresaw that Harry had to be kept safe to defeat Voldemort, and for whatever reason that meant his parents had to die, imo, Dumbledore would have gone with keeping Harry safe. That was his MO at that time imo. I don't see how you can draw that conclusion at all. Given that Dumbledore berated Snape for only asking for Lily's life saying that James and Harry didn't matter as long as he got what he wanted, I cannot imagine for one minute that Dumbledore would think it all right for Lily and James to die as long as he got what he wanted - Harry alive. I also don't see how Dumbledore being the secret keeper could have had the same outcome because Dumbledore would not have told Voldemort where the Potters were which is what Peter did. James Potter would have considered it dishonorable to distrust a friend. I'm the same - I would rather be betrayed than not trust. Interestingly I would say Snape was the opposite - he'd rather not trust than be betrayed, and Dumbledore trusts, but uses secrecy and limiting the spread of information to limit any damage done by misplaced trust. I really don't see anything sinister in Dumbledore's preference for secrecy - it really seems to me to be a sensible precaution given the times and circumstances. Last edited by CathyWeasley; October 26th, 2007 at 5:20 pm. If Snape simply dragged Harry to Voldemort to be killed with him believing that Snape is the enemy, Harry would have gotten rid of the soul fragment and still survived it. However through Harry's self sacrifice, Voldemort's power has been broken. He could no longer harm anybody. That's when "the power the Dark Lord knows not" comes into play. I think Dumbledore has put much more store into the prophecy than he admitted. So is this what I understand of the statement above -- with the knowledge of the prophecy and the knowlege that Voldemort knows one half of that prophecy and with the knowledge one person extremely close to the Potters and a member of the Order is a DE, DD should have still led the Order by leaving everything to the dignity and honesty of the members concerned? In PoA, we learn that Voldemort was specifically after the Potters, and that Dumbledore told them to hide for this reason, from a conversation not including Dumbledore. In other words, other people were told this information. We also learn that a member close to the Potters was a traitor, from the same conversation. We learn Sirius knew all this, back in the day. In other words, the only one of the facts you list above that Dumbledore may not have shared with anyone is the actual content of the prophecy, which is a secret he fears may be of use to Voldemort (DD knows more of it than Voldemort, after all). Yes, he absolutely should have left it to the Order members at that point. They were all warned, and could take prudent precautions to protect themselves and their fellows. As a leader, he also provided what he felt was the best advice - that the Potters should hide, that they should use the Fidelius Charm, and that they should use him as the secret keeper because of the danger of the spy. I presume that he not only offered, but explained reminded them why this would be a good idea. Beyond that, he could and should have done no more, as I see it. Clearly, the Potters took some of this advice - they hid and used the Fidelius Charm to do it. Unfortunately, they put their trust in the wrong person. If in your opinion DD ought to have made everyone show their forearms and swear Unbreakable Vows, how much more true is this of James and Lily Potter? They should have asked to see Peter's arm before choosing him, and required him to take an Unbreakable Vow that he would never tell the secret without their authorization before making him Secret Keeper. He was their choice, not Dumbledore's, so surely it is more their responsibility than his to make sure he was worthy of their trust? Note I do not think Lily and James should have done either of these things...I think they should have used Dumbledore, as he offered. Yes, they absolutely should still meet and discuss, bearing in mind what Dumbledore has told them - that one of them is probably a spy. In fact, in a universe with Veritaserum, Legilimency, and the Imperius Curse, they should have acted as though there was a spy in their midst even before Dumbledore confirmed it. There are things that can be done short of Unbreakable Vows, to limit the danger. (Compartmentalization, limiting information on a need-to-know basis, etc. rather the way real-life secret organizations operate, for similar reasons, since in RL there are no guarantees). These are two quite different matters. Of course all the members of the Order would obey orders. How else would such an organisation function? But Dumbledore never ordered James to make him Secret-Keeper! He simply offered and James declined because it was inconceivable to him (and rightly so) that Sirius could ever betray him. This in no way indicates that he didn't follow Dumbledore's orders or that Dumbledore never gave orders.